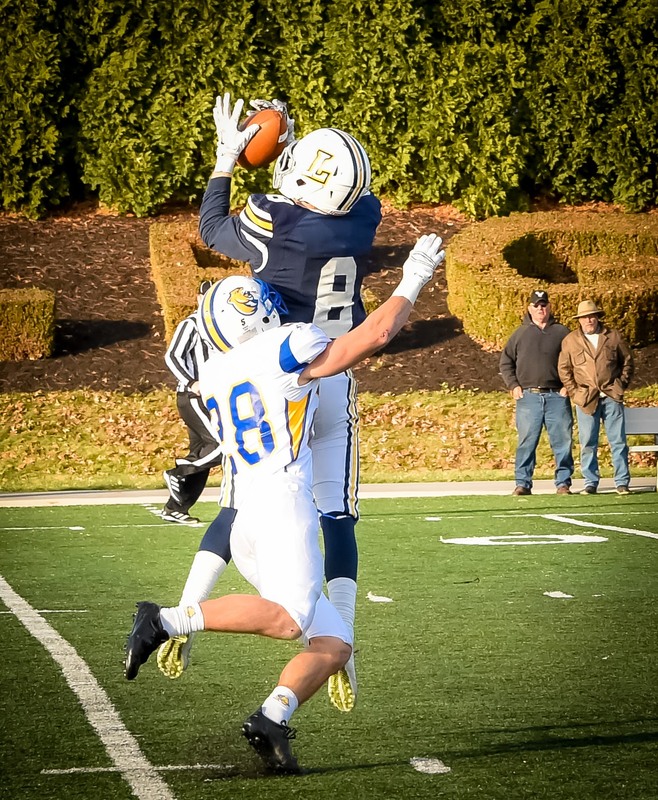 WILLIAMSPORT, Pa. – Senior Ryan Umpleby (Forest Hill, Md./Fallston) capped his career on Saturday, Nov. 15, with another record-breaking performance, as he posted nine catches for a school-record 241 yards in a 38-14 Lycoming College football team win over Misericordia, helping him earn a spot on the Middle Atlantic Conference Weekly Honor Roll, the conference office in Annville, Pa., announced on Sunday, Nov. 15. Umpleby caught four passes for more than 30 yards (48, 55, 30, 51), scoring on the 48-yard touchdown in the third quarter. 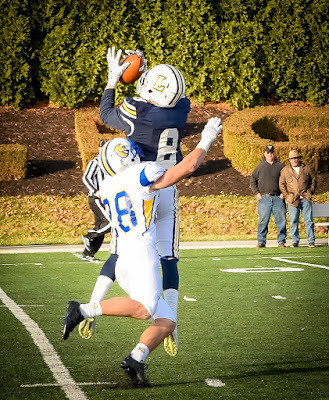 The final catch of his career was the 51-yard pass in the fourth quarter that set up the team’s final score and helped him break his own school record of 227 receiving yards, set against Lebanon Valley in 2014. Umpleby had back-to-back 200-yard games to finish his career, also posting 207 yards in the team’s 43-42 win over 19th-ranked Delaware Valley on Saturday. He finished the year with 980 receiving yards, which is fourth in school history. His 1,736 all-purpose yards this year are second in school history. The Warriors finished the season 4-6 overall and 4-5 in the MAC under eighth-year head coach Mike Clark.